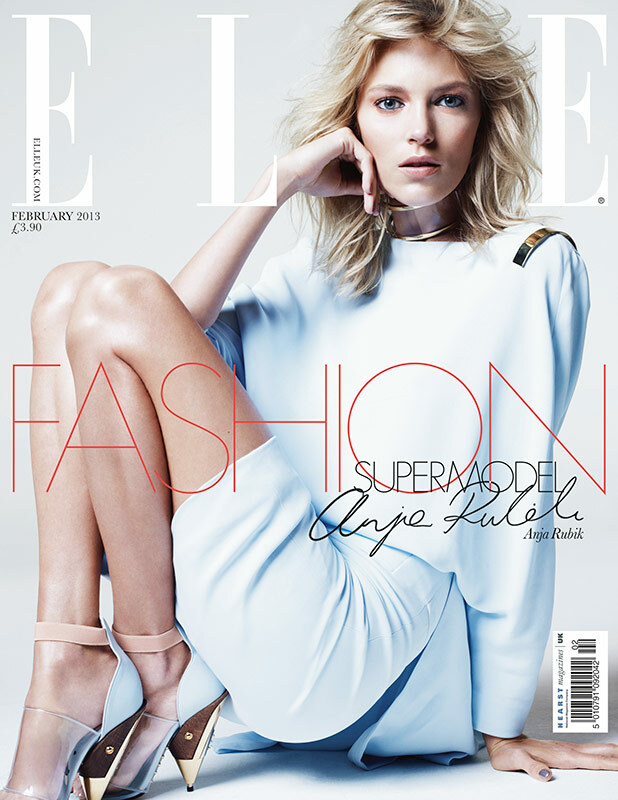 Anja Rubik on the cover and in the pages of ELLE UK FEBRUARY 2013. Jan Welters photographs Anja in designs by BOTTEGA VENETA, RALPH LAUREN, GIORGIO ARMANI, BURBERRY PRORSUM, ALEXANDER McQUEEN, FENDI and DOLCE and GABBANA. Wendy Iles styles Anja's hair for the editorial.